Thousands of aircraft are likely to have been lost in UK territorial and near-territorial waters during the 20th century. A very high proportion of these were combat or accidental losses of military aircraft that occurred during WWII. There are therefore likely to be a very large number of aircraft wrecks on the seabed. However, the number of known aircraft crash sites on the seabed recorded by the National Monuments Record and the local Historic Environment Records is relatively small. Although there is uncertainty about how well aircraft wrecks are likely to survive on the seabed, this means that a large number of currently unknown crash sites may be on the seabed. This discrepancy is important. Unless we know where more aircraft crash sites are, then marine aggregate dredging and other marine activities are likely to continue to impact upon them. Some of these aircraft wrecks are likely to contain human remains, which normally makes disturbing them undesirable. Furthermore aircraft crash sites have the potential to tell us much that has been forgotten or never recorded about our aviation history and about some of the great events of the twentieth century, such as the Battle of Britain. As the aircraft of a number of different countries have been lost over UK waters, then crash sites also have an international importance. The project has therefore identified the need to know more about where aircraft crash sites at sea are likely to be. This can best be addressed by enhancing the information available in national and local archaeological databases, such as English Heritage’s National Monuments Record and the Historic Environment Records run by local authorities. However achieving this will not be easy. A vast body of documentary evidence exists, for example aircraft logs and the records of various air/sea rescue services. However this resource is problematic because it is fragmentary and split up between many different archives. It is also rarely catalogued according to what is archaeologically useful. The project has suggested ways in which this documentary resource could be used. Perhaps most significantly it has suggested that the work already carried out by dedicated aviation researchers could be harnessed to enhance the records of the NMR and HERs. The project has identified the need to know more about how well aircraft survive crashes or ditchings at sea and how well they subsequently survive on the seabed. The examples examined by the project, including the Pembroke Dock Sunderland Flying Boat and the recently found Harlech P-38, suggest that there is potential for aircraft to survive in a better condition on the seabed or perhaps in intertidal areas than those that have crashed on dry land. The project has also established that more needs to be done to enable heritage curators such as English Heritage to decide what is important and what is not. This will help channel the right resources into the study of the right crash sites. It will also help curators decide what needs to be protected and what does not. 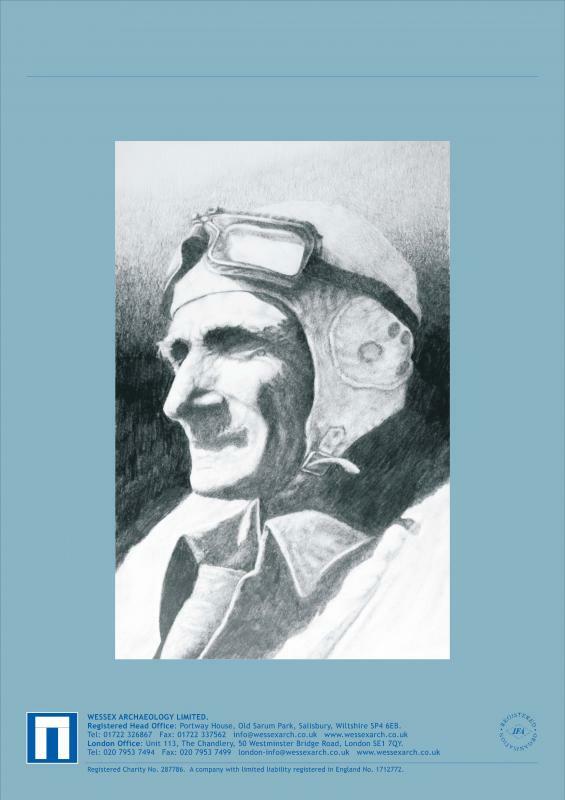 The recommendation of the project is that the research agenda and guidance for aviation archaeology already compiled by English Heritage through its Monuments Protection Programme should be updated and expanded. The research agenda that comes from this process should be compiled with as wide an input as possible to ensure that a workable strategy emerges. Consultees will probably include heritage curators, foreign governments, aviation researchers, veterans organisations, the marine industries and recreational interests such as scuba divers. Specialist guidance for the marine aggregate industry on dealing with aircraft crash sites at sea has been produced as part of the project and is available for download. This guidance builds on the existing industry protocol for reporting finds of archaeological interest. The project report can be viewed online or downloaded as a PDF. 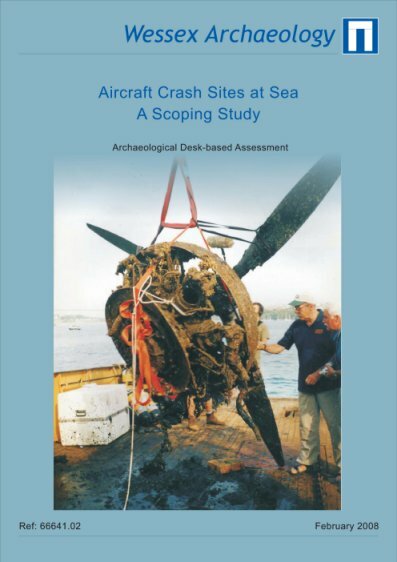 Last but not least, Wessex Archaeology has recommended to English Heritage that aircraft crash sites at sea are important and that they need to be moved firmly up the heritage management and research agenda. This entry was posted on Monday, March 10th, 2008 at 2:21 pm	and is filed under Reports. You can follow any responses to this entry through the RSS 2.0 feed. You can leave a response, or trackback from your own site.